This photo was in my grandmother's box of photos. I put it on FB old images of NY. Some think it's Coney Island. Maybe it's outside a bathhouse along a subway track? Maybe that is the Williamsburg Saving Bank Tower in the distance. 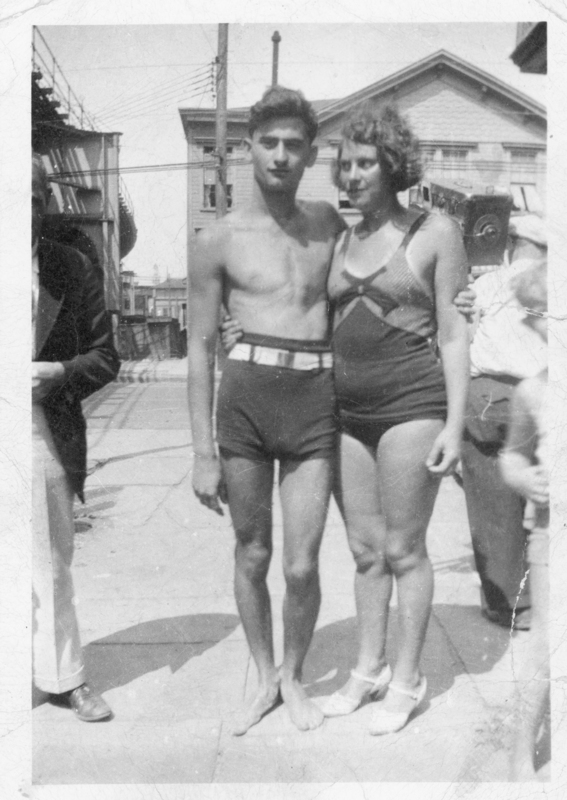 Your grandmother's photo was taken in Coney Island at West 5th Street next to the el in an area once known as "The Gut". The view is looking west and that’s the Luna Park tower in the far background. The beach and Municipal Bathhouse are one block away. Here is a photo of that location today. 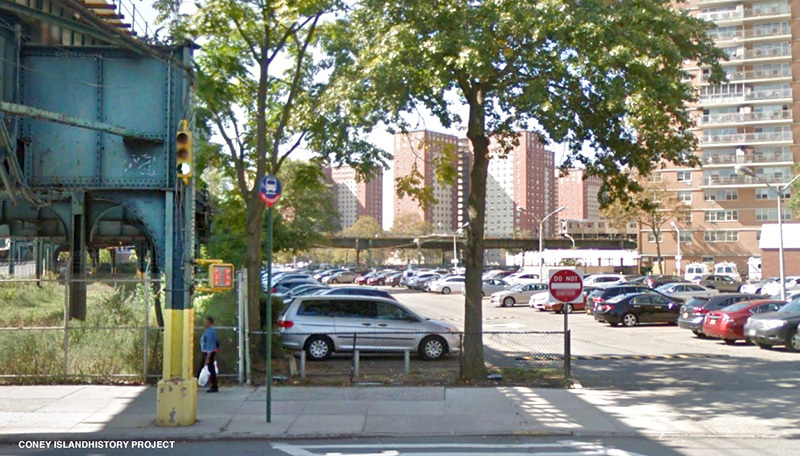 The building in the background of the early photo was demolished to build Trump Village high-rises in the early 1960s. The Trump parking lot currently occupies the site. The red and white high-rises in the far background are called Luna Park Houses and occupy the former site of Luna Park. Hope this helps.